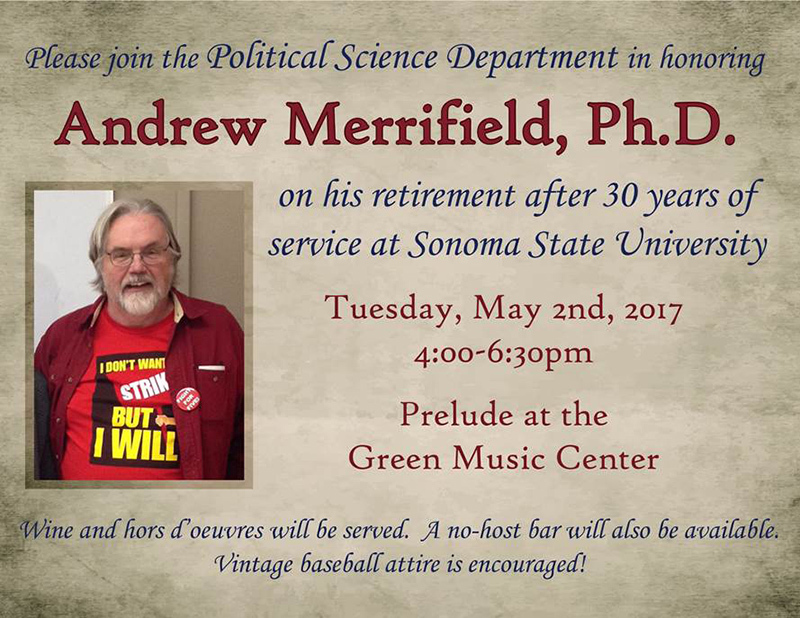 The entire campus community is invited to join the Political Science Department as they honor Andy and celebrate his many accomplishments at a reception on Tuesday, May 2, 4:00-6:30 p.m. at Prelude at the Green Music Center. Wine and hors d’oeuvres will be served. A no-host bar will also be available.